A dishwasher is one of life’s greatest modern conveniences. Not only does it reduce water usage but also eliminates the need to be tethered to your sink hand-washing, rinsing, and drying all the plates, bowls, cups, pots, pans, and more that went into making just one single meal. Multiply those meals by the standard three a day, and it’s easy to see how much time and energy a dishwasher can free up in your schedule to tackle other life tasks on that never-ending to-do list. Still, as much as most people wouldn’t live without this important kitchen appliance, they don’t always feel the same when a good dishwasher goes bad. Remember all of that saved time and energy? Get ready to use it fixing the problem and addressing the water damage aftermath. 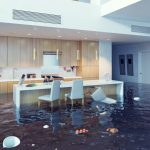 Thirty percent of home water damage is caused by appliance failure, according to a study conducted by Roto-Rooter, a plumbing and drain service, and dishwashers are a big contributor. Avoid household floods and water damage caused by your appliance by following these helpful tips. Know your appliance: Every dishwasher is different, even models made by the same manufacturer. Be sure to read your owner’s manual when you first purchase the appliance to make sure you are following proper operating instructions. The recommendations provided regarding soap type and amounts, as well as loading instructions, can keep your dishwasher from later breaking down and springing a leak. Conduct regular maintenance: Cleaning rubber seals, protecting against rust, flushing out filters, and unclogging spray nozzles should be done on a regular basis according to manufacturer recommendations. Failure to maintain your appliance can cause it to work less efficiently and even break down, resulting in water leaks and related damage. 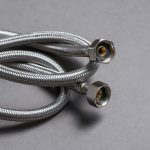 Install proper hoses: If appropriate for your dishwasher model, opt for stainless steel braided hoses. These tend to fit more easily in tight spaces without kinking, which is a common bursting culprit in hoses made from rubber and cloth. 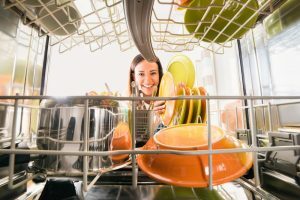 Routinely inspect dishwasher water lines: There are typically two water lines connected to your dishwasher: one that leads to the kitchen sink supply faucet, and one that leads to the sink drain or disposal. A burst hose or leak in the line are the most common ways your dishwasher can create water damage. Check the lines twice a year, and call upon a professional if any signs of water are present. 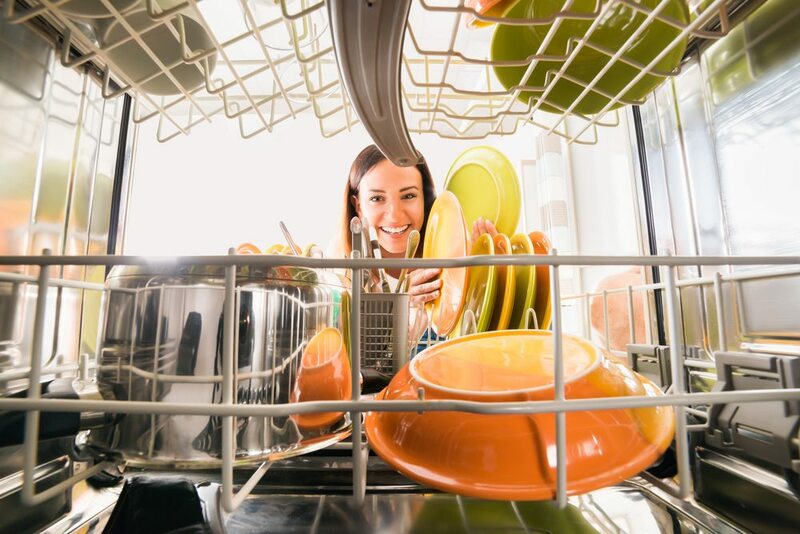 Only run the appliance when home: You may have little to no warning when a dishwasher water hose bursts, so it’s important never to operate your dishwasher when out of the house. When home, you can quickly tend to the matter, shutting off the appliance or water source before the leaking water becomes a bigger, rising problem.